Conducted annually, AICA sees a panel of industry experts congregate, recognising the smoothest, frothiest and most refined local and international coffees. The panel includes roasters, green bean buyers, trainers and educators working in coffee. The judges will award eight trophies, including: Champion Australian Roaster, Champion International Roaster, Champion Direct Trade or Microlot Coffee, Champion Espresso, Champion Milk based coffee, Champion Soy Based Coffee, Champion Filter Coffee and Champion Cold Brew Coffee. 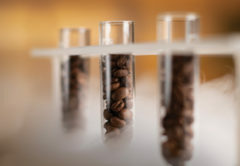 Using the RASV scoring system, any coffee awarded 54 to 60 points will be presented a gold medal, 49 to 53 points a silver, and 44 to 48 a bronze. 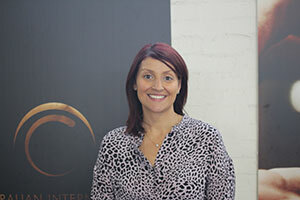 Leading the judging panel is Head Judge Melissa Caia of the William Angliss Institute Coffee Academy. Melissa monitors palate fatigue and tolerance as each judge tastes different strengths, brews and textures of coffee throughout the day. 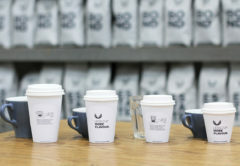 “We’re looking for taste, balance of flavour, cut through in terms of milk, aromas, acidity, sweetness, body, balance, and how it all works together in the cup,” Melissa says. 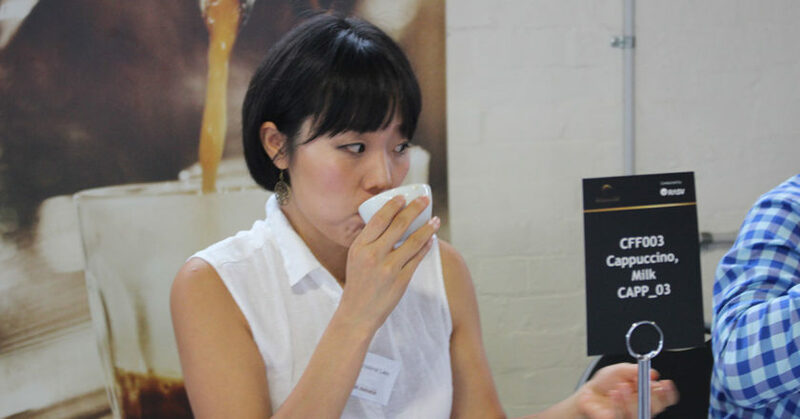 Nic Michaelides, Vice-President of the Australian Specialty Coffee Association (ASCA), has been judging at the event for the past five years. He says there’s a lot to be considered when making a good cup of coffee. “When tasting a coffee for judging, it has to be balanced. You don’t want to be biased on favouring one side of the palate,” Nic says. Both Melissa and Nic also serve as judges in the ASCA Australian Coffee Championships. 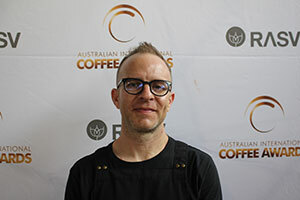 Nic says while the ASCA competitions focus on the barista, AICA recognises the coffee itself. Melissa says the event is seeing rapid growth, with roasters from as far as Europe and the United States submitting their products to gain feedback from Australia’s highly-regarded industry professionals. “We’ve had as great response from international entries. 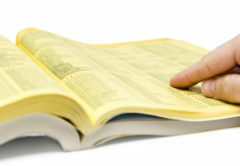 It shows they trust our industry peers and professionals to give them feedback on or assistance with their products. It helps the roasters to benchmark their products,” Melissa says. Nic agrees, saying roasters rarely have the opportunity to receive constructive criticism. “[Roasters] often fall into an isolated bubble where we’re constantly tasting our own products. This competition has such a high calibre you’re able to have industry professionals assist and provide feedback,” Nic says. Head Barista Adam Metelmann oversees a team of baristas who prepare all coffees to a standardised recipe. The baristas use a Compak grinder and Synesso S200 espresso machine provided by Xtracted Espresso Solutions. “We use the same specifications and parameters to prepare all of the coffees. Roasters are provided with this information and need to figure out how to hit that recipe,” Adam says. Adam began working with AICA five years ago, serving as Head Barista for the last three competitions. He enjoys giving back to the community that he has been an integral part of. 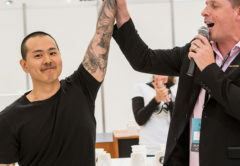 Adam encourages baristas looking to broaden their coffee horizons to take part in AICA in 2020.“As a barista, you’ll rarely get the chance to work with more than 800 coffees at once. You can’t pay for this kind of experience,” Adam says. 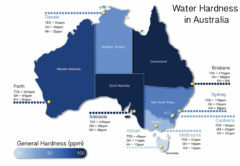 With the continued growth of the Australian coffee community, Melissa says events like AICA push people to learn more about the coffee industry and enquire about varying roasting styles and coffee products. Winners are set to be announced from 27 March 2019.